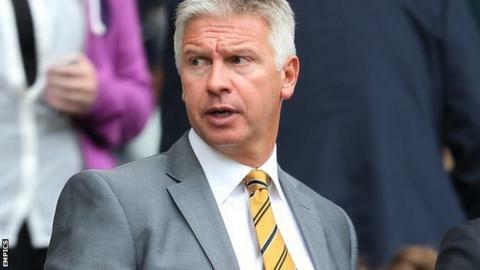 Former Hull City and Derby County chairman Adam Pearson has said he would like to "get back into football," with Leeds United a favoured destination. The ex-Leeds director and current owner of rugby league side Hull FC has been out of football since leaving a role with the Tigers in April. He told Yorkshire Business Insider: "I will definitely get back into football. I would like to go in with a consortium with a club that has huge potential. "The one that stands out is Leeds." Pearson, 48, left his position as commercial director at Elland Road in March 2001 in order to become sole owner of Hull City. After leaving the club to take over as chairman at Derby in 2007 he returned to the KC Stadium two years later. Leeds were taken over by Dubai-based private equity firm GFH Capital in December, although previous owner Ken Bates remains chairman and is set to revert to the position of president at the end of the campaign. Neil Warnock's side are currently 12th in the Championship, six points off the play-offs with 17 games to play. And Pearson believes it is important for the city that the club gets back into the Premier League for the first time since being relegated in 2004. "Everybody in Leeds needs that club back in the Premier League. A city of this size should have a Premier League club," he added. "Having 30 Premier League footballers in a city, buying dinner and gifts, is like having 30 small businesses."